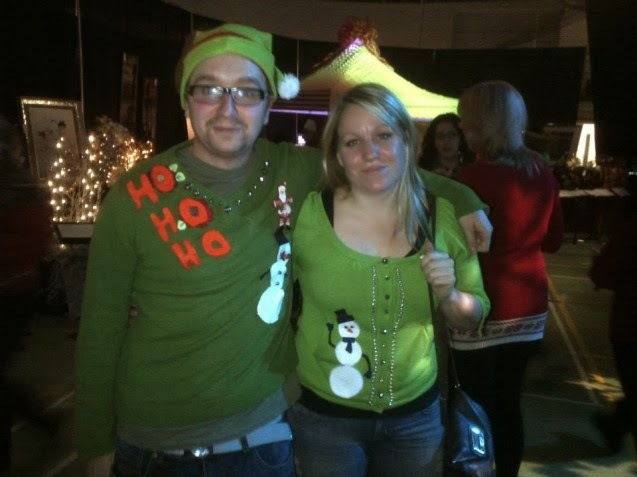 McMurray Musings: Ugly Christmas Sweaters? Yes, Please. 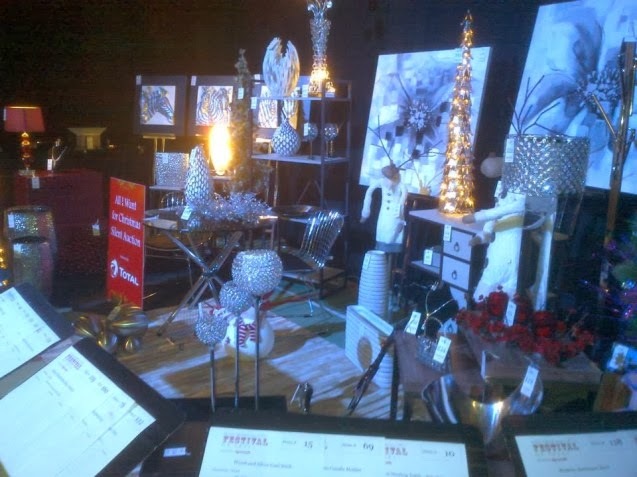 When I managed to score the tickets at the silent auction at the KD Gala I knew I had a mission, but instead of doing it myself I set the Intrepid Junior Blogger up with her laptop, a website address, and carte blanche to accomplish the goal. She dove into the project with zeal, and by the end of it we were both collapsed in laughter, with my Paypal account a bit deeper in debt and a parcel from Vermont on the way to our house. The mission? 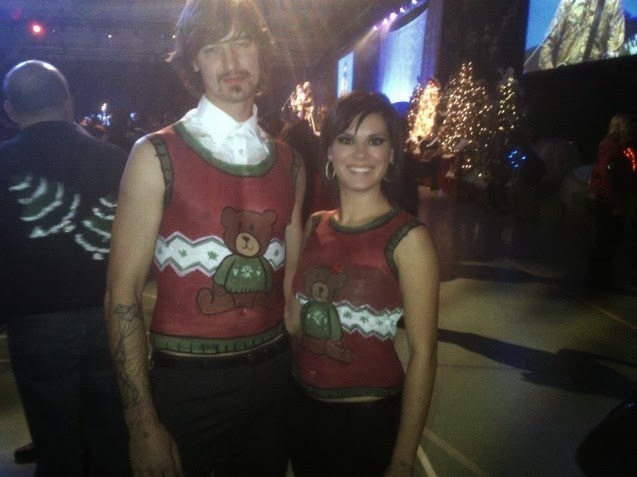 To find a godawful ugly Christmas sweater for the first - and I sincerely hope annual - Ugly Christmas Sweater Party at the Festival of Trees. 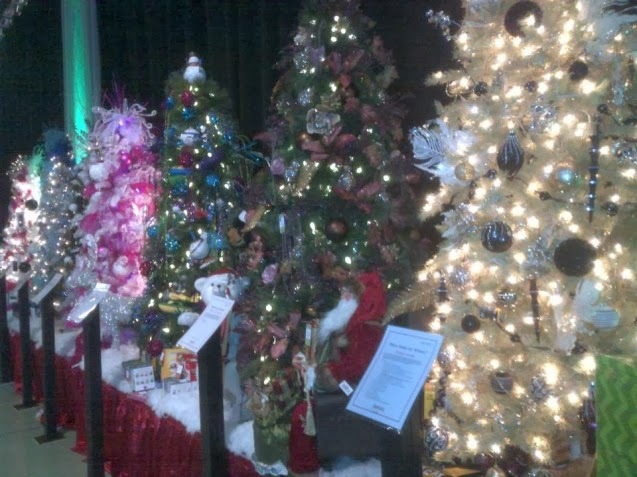 The Festival of Trees is a lovely local event, organized by the Northern Lights Health Foundation, a non-profit organization that provides support and financial assistance to the goals of health care in this region. This is, of course, a topic that affects all of us since all residents will at one time or another require medical care, and so the NLHF has touched all our lives at some point. I have been very fortunate in the sense of medical issues, but even I have dealt with times when the IJB has broken her arm, or otherwise required care, and so we too have used the medical services in our twelve years in this community. I have always loved the Festival of Trees, and it has always been a wonderful event. This year, however, I think they rather outdid themselves with the kickoff event, an Ugly Christmas Sweater party that turned the Nexen Field House at MacDonald Island Park into a sea of tacky, gaudy sweaters. It was an amazing evening, and one of the best I have had in a very long time, too. You see I am a big fan of galas, those glitzy and glamourous events, but they are somewhat prohibitive in the sense that not all can afford to attend them. They are not inexpensive affairs, with tickets ranging from $200-$350, and that is before drinks and taxis and party attire and babysitters. And while we do have a very high average disposable income in this community (the highest in the nation, in fact) there are many people here who do not earn the kind of money where a gala evening becomes feasible. They simply can't justify that kind of expense, but they would still love to support these events and non-profit organizations. 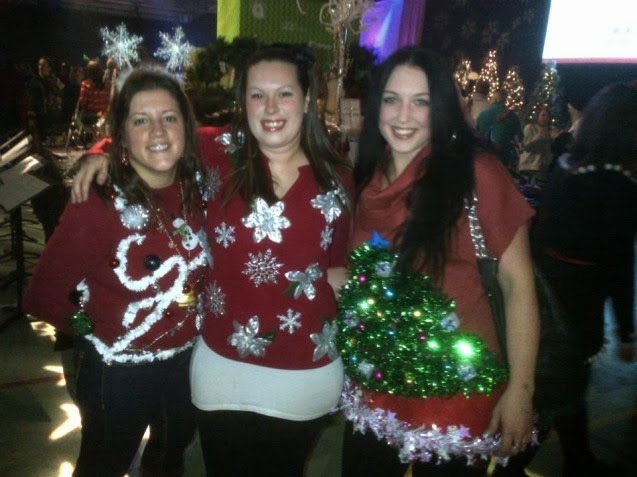 They want to give back to the community too, and enjoy special events, but on occasion the cost is a bit exclusionary - which is why we need more events like the Ugly Christmas Sweater Party. At $30 a ticket, and the cost of a gaudy sweater, the event become affordable and attracts a different crowd, often younger than the gala set but no less interested in supporting a good cause, enjoying a good time, and spending their cash in a way that gives back to our community. Last night they came out in droves, wearing hideous Christmas sweaters and dancing the night away to the sounds of stellar band Signal Hill (who are, by the way, absolutely fantastic and have made me a fan with their tremendously well-performed cover tunes - there are "bands who play covers", and then there are bands who play covers and make them sound fresh and exciting and brilliant, and Signal Hill is clearly the latter type). 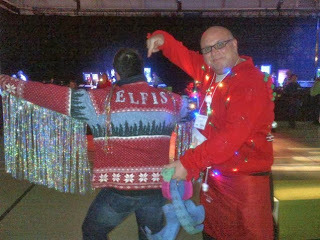 It was one of the most festive events I have been to in months, with a true party atmosphere and a simple joy that could not be denied, which is why last night on Twitter I deemed it the "Christmas party of the year", and I am quite certain it will remain to be. I stood beside the dance floor last night snapping pictures with my iPhone, watching sweater-clad happy people dancing to songs like "Come On Eileen", "Ring of Fire", and "500 Miles", interacting with each other and enjoying a performance from a terrific and engaging group of musicians. I watched as they filed into the photo booth to memorialize their sweaters. I smiled (beamed, actually) when a young man approached me to introduce himself as one of my Twitter followers, excited by meeting me (and as usual I felt humbled by that, too, as I am just me and not particularly special, but I couldn't stop grinning) and I walked around the room talking to friends and co-workers, and, on occasion, total strangers. 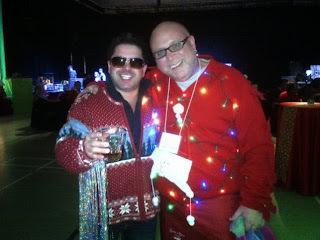 It was a true party, and while it may have been hundreds of people it was somehow intimate and cozy too, with crazy ugly sweaters everywhere and smiling faces at every corner. Here is my summary: It was pure and unadulterated joy, and it is something we need more of in this community. We need more of these events that cater to this demographic, that draws them into our community and engages them with our non-profits and shows them that these events are not only for those who have large bank accounts but for everyone. It wasn't the usual gala crowd last night, but rather the people who are the everyday folks who run our communities - the nurses and teachers, bank tellers and store clerks we see every day but rarely see at galas. And don't get me wrong, as I love a good gala event - but last night was special for so many reasons, and a total home run for the Northern Lights Health Foundation who took a bit of a risk and will now reap the rewards of being bold and brave and innovative. I sincerely hope this becomes an annual event, and I hope to see a lot more of this demographic at events (and I'd like to see a lot more of Signal Hill, too). 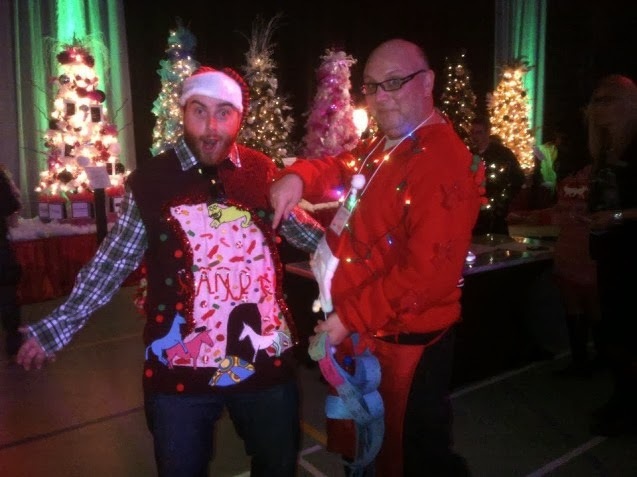 I had the best time last night, and this morning I deem the Ugly Christmas Sweater Party one of the very best new events I have ever been to in Fort McMurray. And just for the record since I truly believe this will be an annual event I have given the IJB another task. 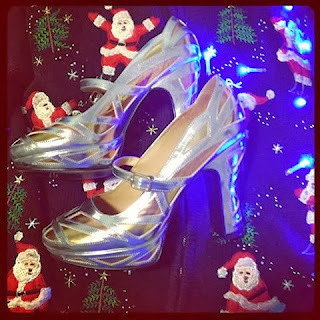 Today she is on the internet and on the hunt for another prize - next year's ugly Christmas sweater for her mother, and one which is even bigger, bolder, and brighter to match an event that is all of those things, too, and bound to be just that much better next year.